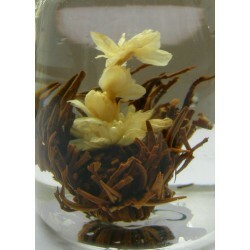 Flowering teas, also known as blooming teas, performance teas, display teas, among other names, are hand-sewed individual tea leaves uniquely shaped. 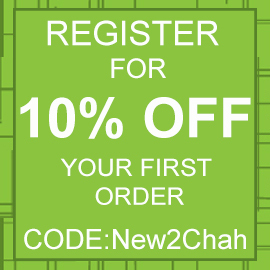 These amazing teas, developed in the tea gardens of Yunnan province in China, will delight your eyes and taste buds alike. To make the finest hand-tied teas, exceptional tea leaves are specially selected, hand sewn with cotton and shaped into magical arrangement whilst still damp. 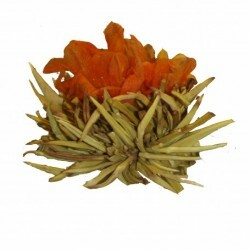 The whole process takes between one and ten minutes depending on the complexity of the tea flower. 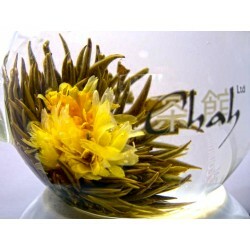 Chah has selected the teas which it believes offer the most exciting visual and tasting experience. 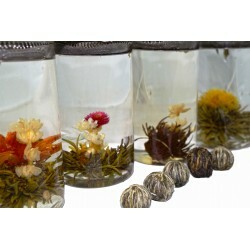 Flowering Tea Il y a 4 produits.